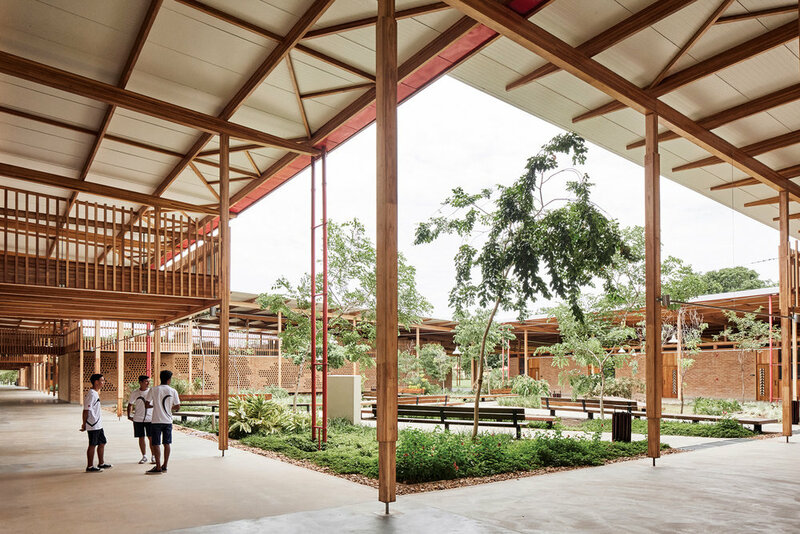 The RIBA International Prize is awarded every two years to a building that exemplifies design excellence and architectural ambition, and delivers meaningful social impact. It is one of the world’s most rigorously judged architecture awards, with every longlisted building visited by a group of international experts. Children Village was chosen from a shortlist of four exceptional new buildings by a grand jury chaired by renowned architect Elizabeth Diller (DS+R). The tropical climate, with summertime temperature in the mid-40 degrees, was one of the major challenges cleverly addressed by the architects. 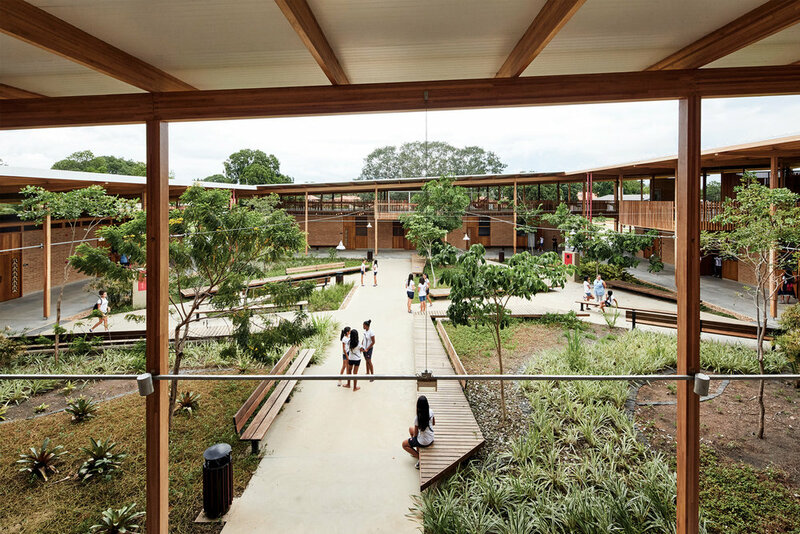 The large canopy roof, the structure of which is made up of cross-laminated timber beams and columns, provides shading. The overhanging canopy design has created an intermediary space, between inside and out, giving the effect of a large veranda overlooking the surrounding landscape and creating a comfortable environment with no need for air conditioning. 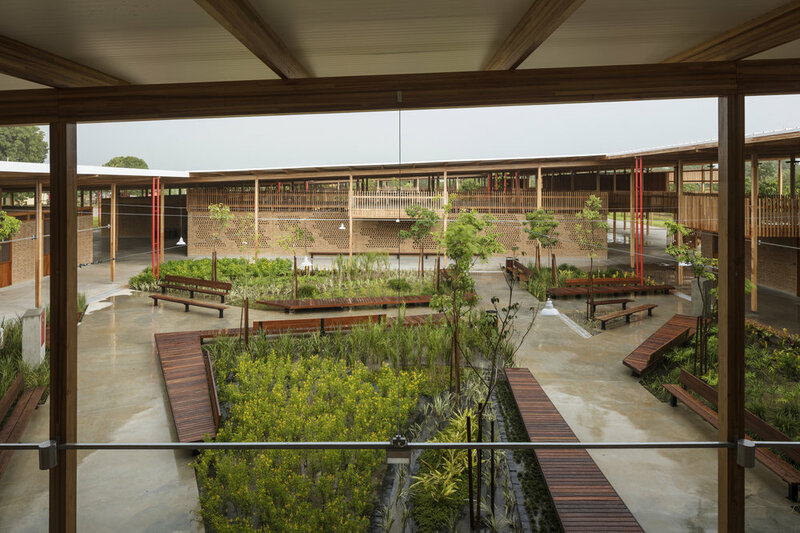 Combining a contemporary aesthetic with traditional techniques, Children Village has been described by the judges as ‘reinventing Brazilian vernacular’. The building is constructed with local resources and based on local techniques. Earth blocks handmade on site were used to construct the walls and latticework, chosen for their thermal, technical and aesthetic properties. 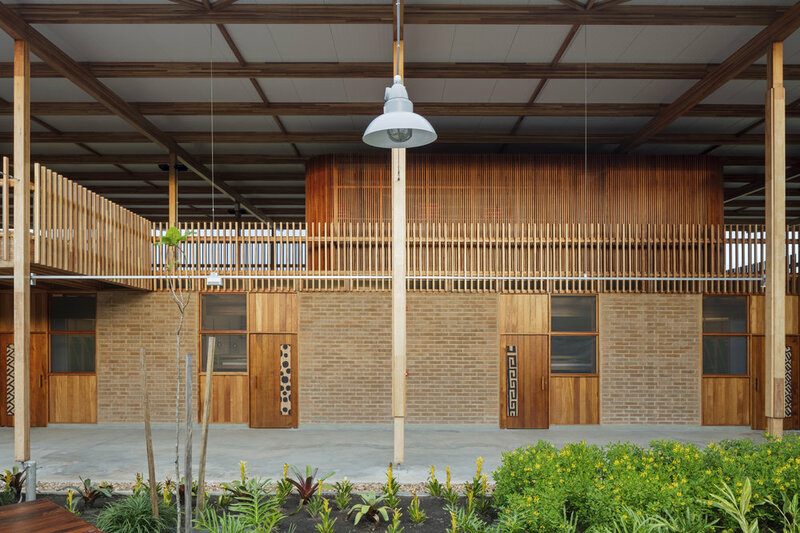 As well as being cost effective and environmentally sustainable, this approach creates a building with strong connections to its surroundings and with the community that it serves. Children Village provides boarding accommodation for 540 children aged 13 to 18 attending the Canuanã School. Pupils come from remote areas of the country, some travelling many hours by boat. Funded by the Bradesco Foundation, Children Village is one of forty schools run by the foundation providing education for children in rural communities across Brazil.